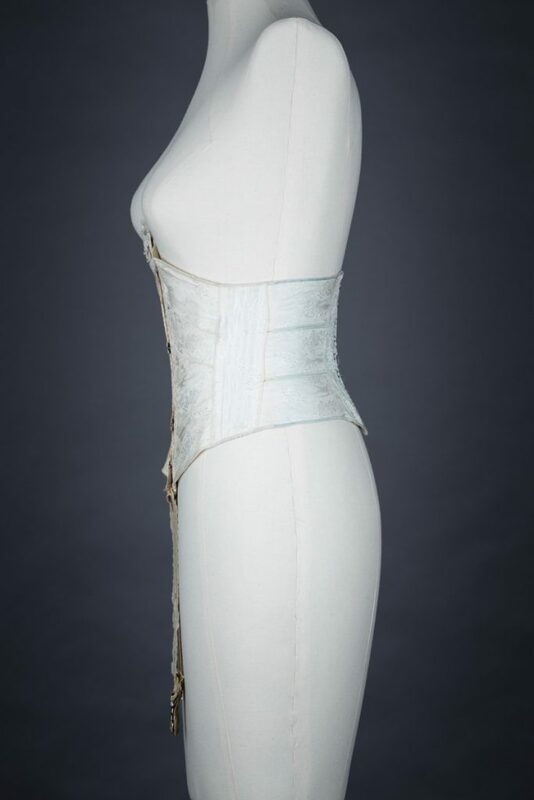 Ribbon corsets began to appear at the turn of the century and offered women a much greater freedom of movement than traditional corset styles. 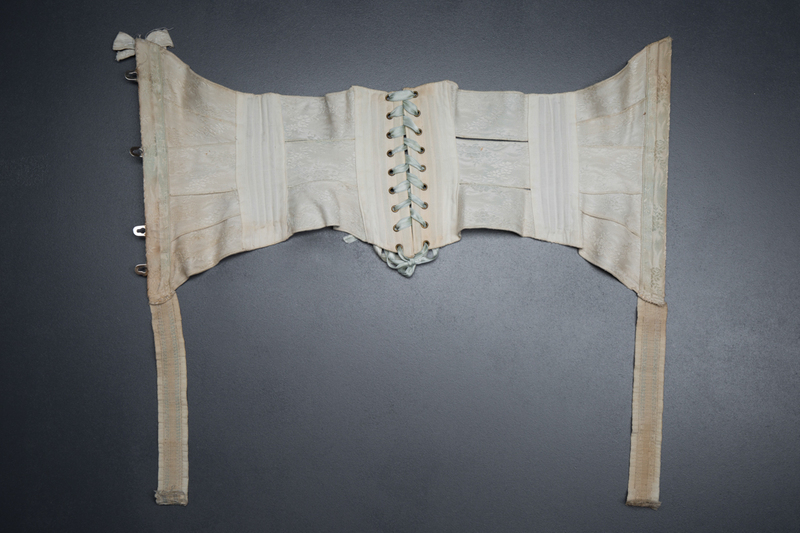 The cut was much less restrictive, constricting only a small portion of the waist and leaving the hips and bust free. 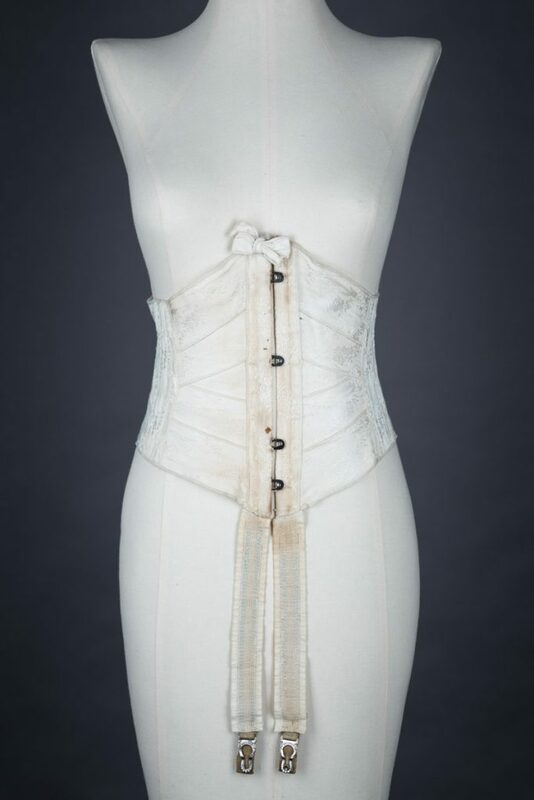 This particular example is not constructed from purpose made ribbon, but instead from a floral jacquard cotton fabric that has been cut into strips, with the edges finished by a narrow overlock stitch. 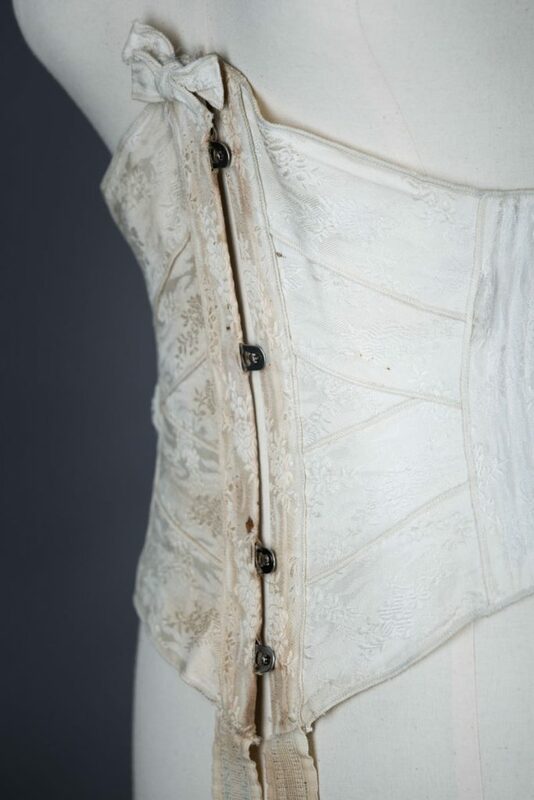 It is unusual to see an overlock stitch used in a corset, let alone in any clothing so early in the 20th century. 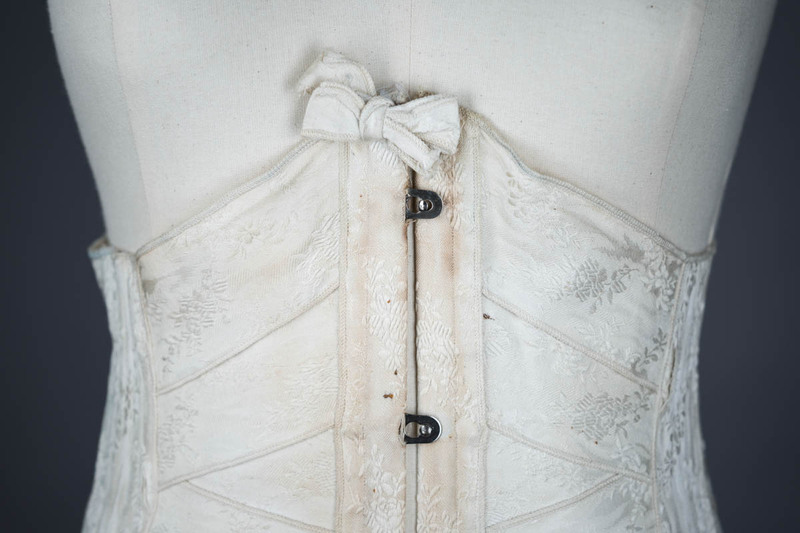 This method of finishing would likely have been seen as incredibly modern and innovative. Although this corset is not quite as curvy as many other popular foundation era from this period, it still has an impressive amount of shape for its unusual construction. It achieves its shape through carefully cut strips of ribbon, with the tapering shape allowing for a gently cinched waist. 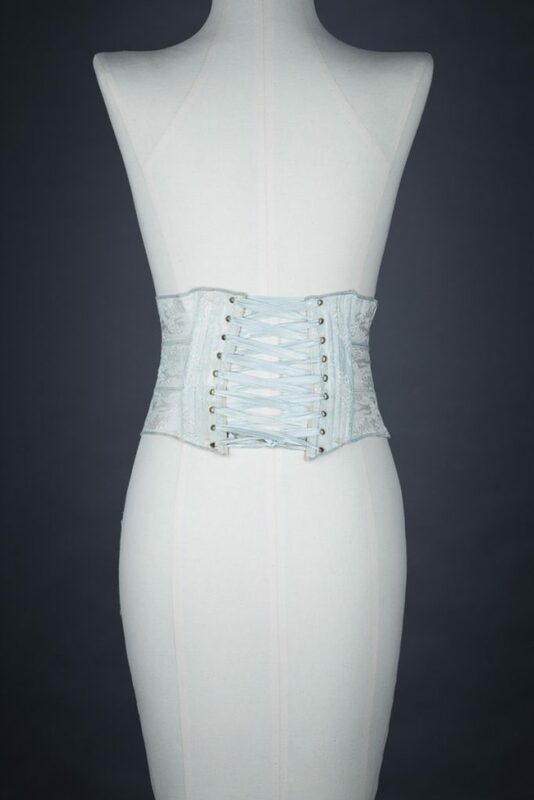 The front of the garment uses 5 such ribbon strips per side, with 3 strips at the back. 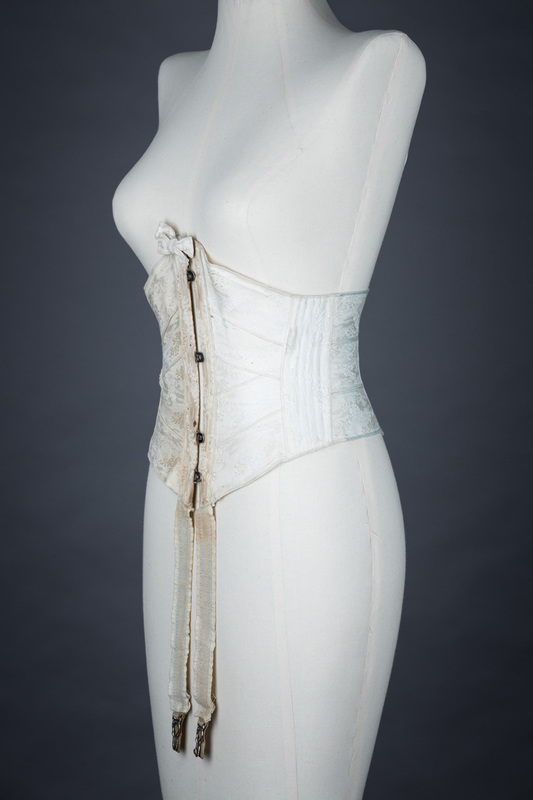 The side encases 6 vertical pieces of baleen, encased in a vertical panel of ribbon with sewn in channels. 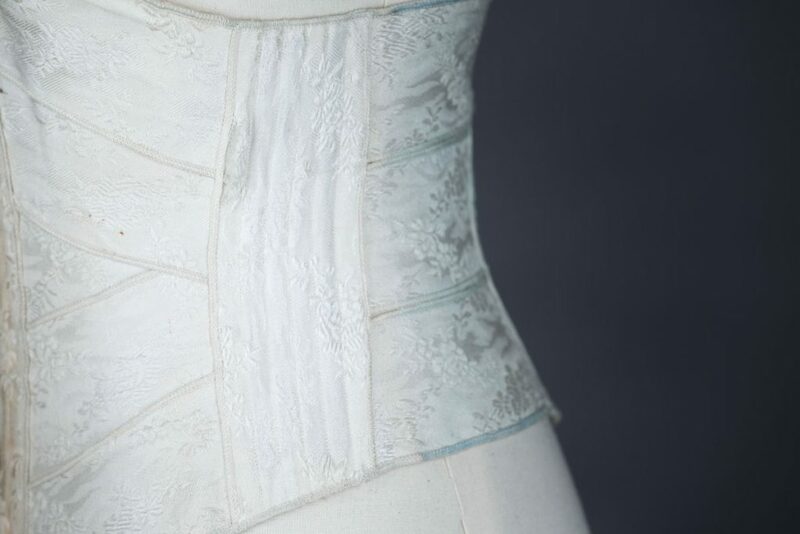 The same jacquard weave fabric is used for the entirety of the corset and is cut to the relevant widths and lengths, with the addition of a plain coutil used to line the side and centre back boned panels. The same jacquard weave fabric is used to encase a 4 loop and pin busk fastening at the centre front. 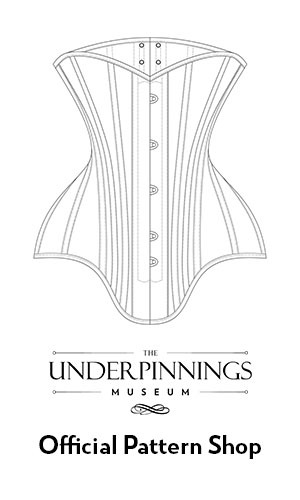 The corset laces shut at the centre back with single piece eyelets, with channels of baleen on either side. The corset is laced with its original silk ribbon. 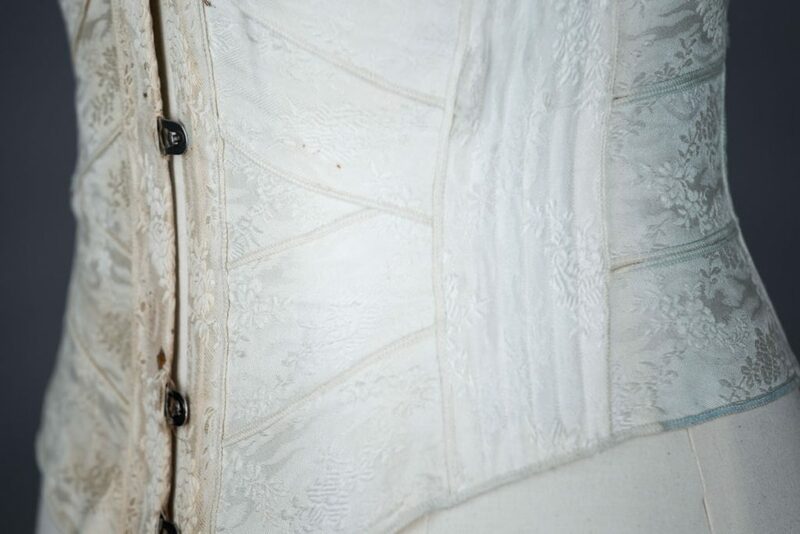 Two pieces of decorative frilled elastic extend from the centre front of the garment, which originally would have featured adjusters and suspender clips. The original adjusters and clips were removed from the garment, but similar clips were pinned onto the straps for the purposes of these photos. The top centre front of the corset is finished with a bow created from the same jacquard fabric as the rest of the corset. 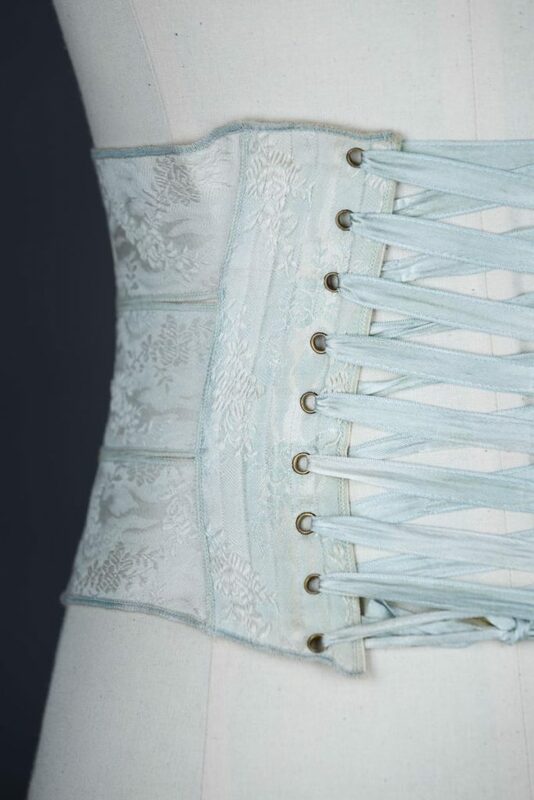 The original colour of this corset appears to be a white base with blue highlights, however poor storage and likely light damage has bleached the entire front of the garment to white.